CHECK OUT OUR NEW VIDEO OF SPECTACULAR WATERFALL! 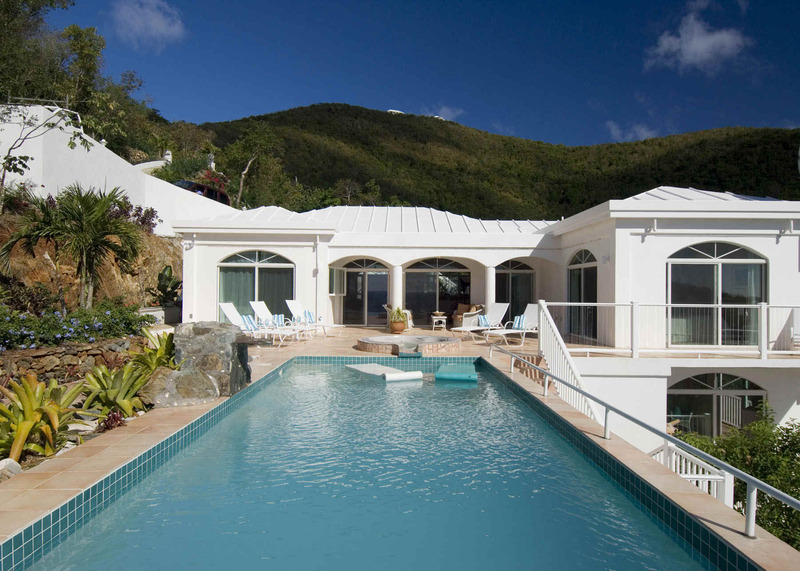 Waterfall, on the hillside of St John, US Virgin Islands, is a gorgeous luxury 3 bedroom, 3.5 bath rental villa that has it all! 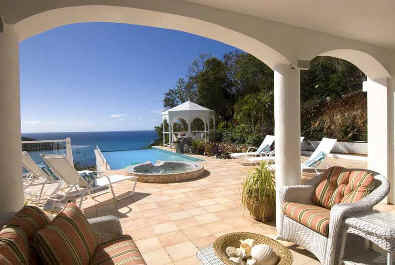 This elegant, romantic villa offers a stunning setting for your St. John vacation, wedding, honeymoon, or romantic get-away. 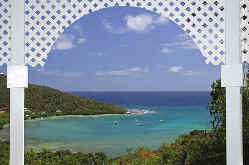 Wake up each morning to pristine full bay views of Fish Bay, Ditleff Point and beyond to St. Croix on the horizon. 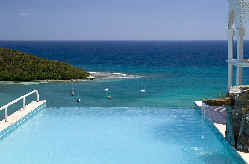 Take a swim in your solar heated infinity edge pool or sit under its flowing waterfall. Enjoy the complete privacy of your "tan-anywhere" terraces or relax in your bubbling Jacuzzi. Later, dine in the beautiful Gazebo overlooking the sailboats moored peacefully below. Excellent restaurants and shops in the charming town of Cruz Bay, as well as St. John's spectacular National Park beaches, with snorkeling, scuba, and kayaking, are only a short drive away. Three spacious equal size king bedrooms (two can be converted to twins), each with lovely water views, private Italian tile and marble bathroom, A.C,Flat Screen TV.with DVD, and room darkening curtains for restful sleep. Elegantly furnished Great Room with flat screen TV and fully equipped granite kitchen including gourmet stainless cookware. Air conditioned office with DSL and WI-FI internet access, computer, printer, fax and telephone. Charming gazebo with large covered and open deck area Perfect for small weddings! For availability please fill out contact form below and contact our house managers Cateredto at 1-800-424-6641 and tell them the owner Norm sent you !